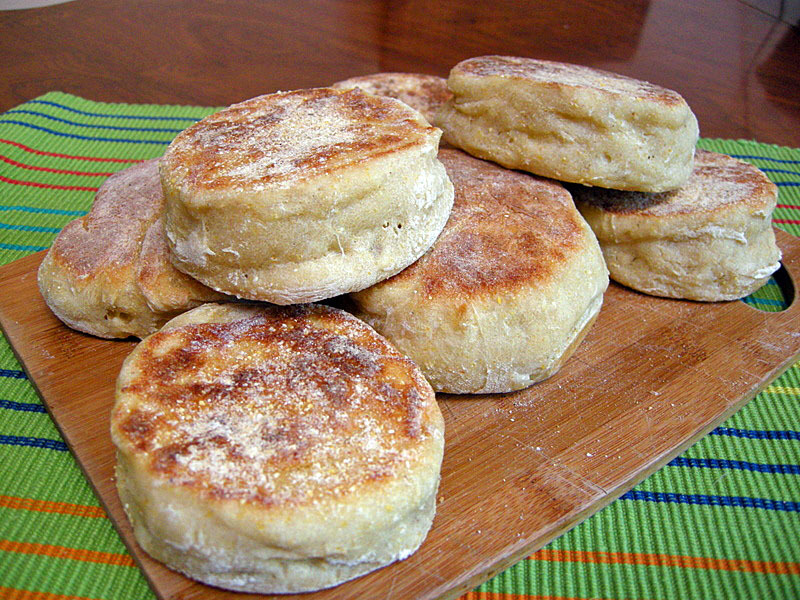 Or, as Dan Lepard described them, “traditional English muffins with a neat twist.” They have the exact same look of the regular English muffin, similar texture, but a slightly more complex taste due to the addition of cornmeal to the dough. Since they are leavened by commercial, fast acting yeast, you can have these tasty treats ready for brunch in less than 3 hours. Making bread first thing in the morning always makes me feel good, and gets the weekend started with a great vibe! 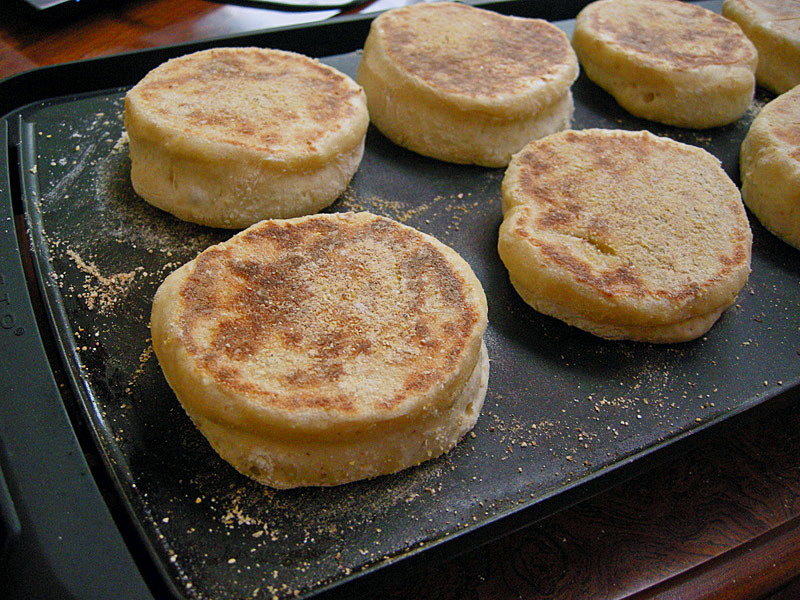 The dough is made with soaked cornmeal, bread flour, yogurt, vinegar, and commercial yeast. One important modification: I used only 350ml of water instead of the 425ml called for in the original recipe, after the advice of two friends (Celia and Joanna) who recently made these muffins and felt they did not hold their shape well if the full amount of water is added. They go into a 400F oven for 10 more minutes to make sure the crumb is fully set, and after patiently waiting for them to cool down, the baker might be lucky enough to hear her partner saying “can I make a little sandwich for you”? 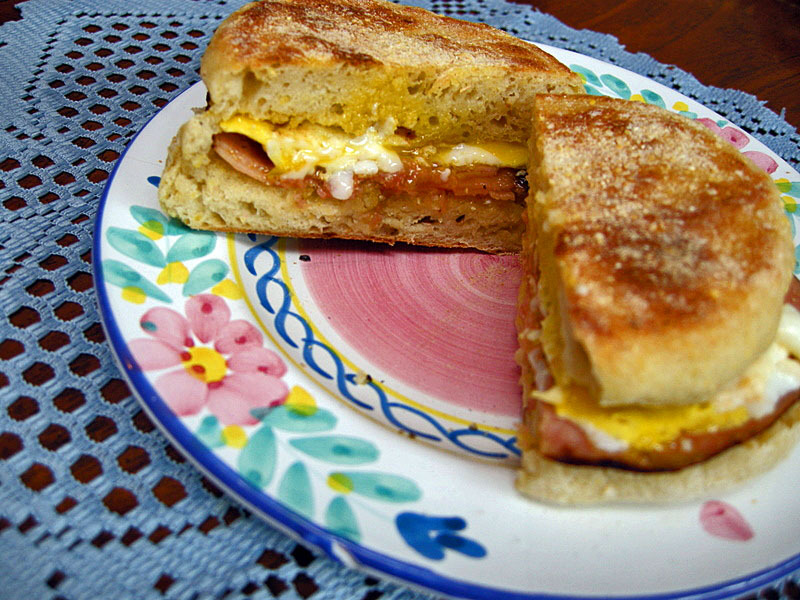 I am submitting this post to Susan’s Yeastspotting….